Sometimes one can even zamanout, someone something that sweetens RACK. It is such a, We have with us one notch, or if we have somebody so-called Pifka or itch. Oftentimes, that sweeten someone's life is much easier verbally and then transform words into deeds is more arduous than expected. When it comes to the matter but, it might happen, that someone put proper drops. but what? For this purpose, we recommend echinacea drops, Because when someone want something sweet, He did not deny something very healthy. And just as famous drops of tincture třepatkovky for this purpose entirely appropriate. Support the immune system, It has endured hard times. Such immunity is quite useful, and certainly it's one of the reasons, why in Europe they have become so popular in such a short while. The Greek word denotes echinos Hedgehog. 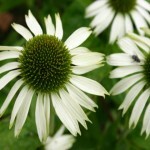 Who knows this plant closer, especially her ovaries, He knows what they are talking. Seemingly delicate flower is in fact so well turned from quality materials. 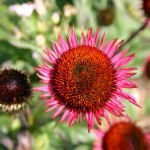 In North America, nine kinds grow in the wild and their healing effects obviously escaped the Indians. end 19. century is becoming popular even in conventional medicine and pay for effective medicine against colds. 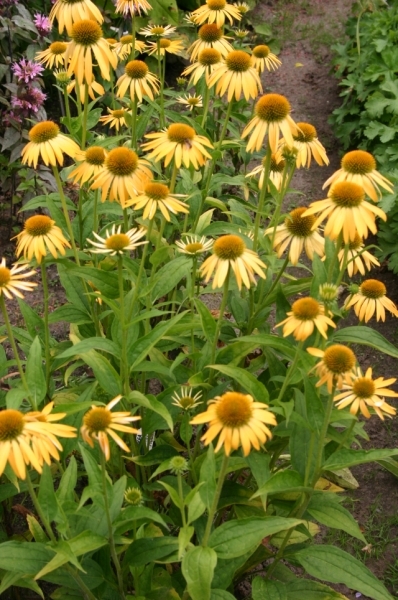 As an ornamental plant conquering the world's first near "black-eyed" relatives of the family Rudbeckia, But already in the interwar period were used to třapatkovky summer rebate. All the species are blooming purple or lilac in different intensities crimson to purple tones. An exception is the white variety, and especially yellow flowering E. paradox. The base color has become a challenge to today's breeding. What is třapatkovka as plant? 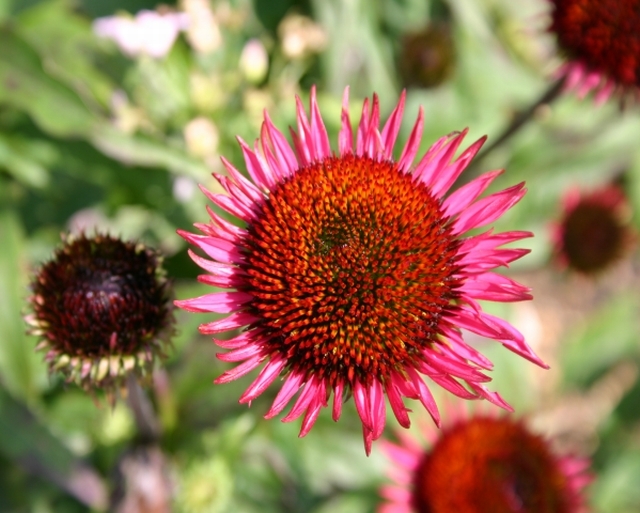 The most famous and still by far the most common cultivars are derived from Echinacea purpurea. 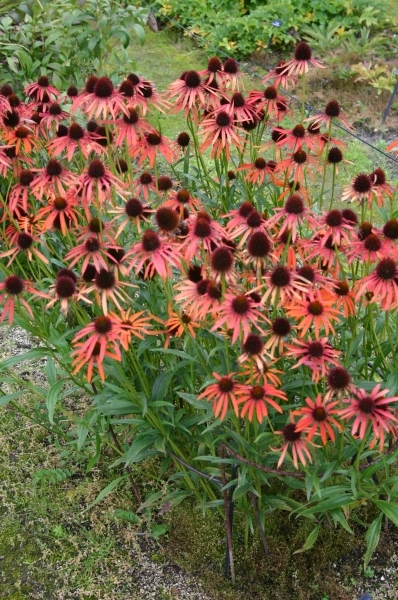 It is a perennial tufted 40 to 80cm high, which bloom all summer with dozens of flowers . 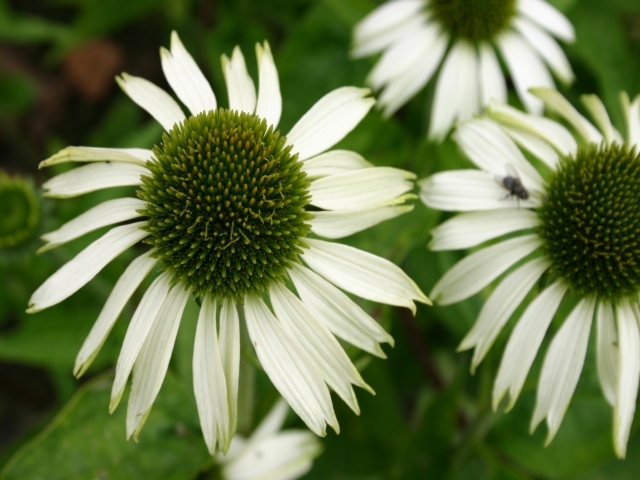 Attract many insects, particularly bumblebees and butterflies. In winter fully retracted and old vegetation bears beautiful spiky seed heads. As the plant is very long-lived. Years ago it was discovered, the different types třpatkovek among themselves readily crosses. 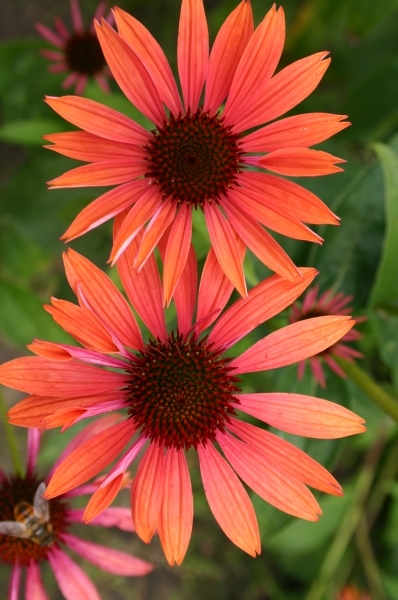 This property evaluated Americans Richard Saul and Jim Ault when practically at the same time independently crossed species available and were amazed shades of vanilla, lososových, orange and red colors of the flowers. A new phenomenon was born and just enough 8 years on the first results. Series Big Sky inundated all the countries of Western civilization over three seasons and many more hybrids didn`t have to wait. The color spectrum goes from pure white through yellow, pink, orange, red to dark ruby. Large-i drobnokvěté, compact and high, half-full, Essentials. With the "hedgehog" of the ovary in green, yellow, orange or brown. 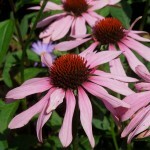 Rod Echinacea requires without exception, sunny location. Slight shading can take only E. purple, but fewer blooms and sprawls. 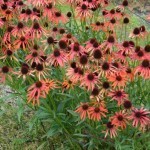 This species also appreciate a normal garden soil with occasional watering. The same applies to the new hybrid cultivars. For some, however Soret prevalent species originating from dry sunny prairies, which hates moisture and grow better in poor rocky soils. 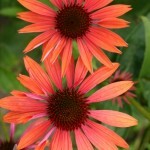 They usually have narrow leaves and petals and subtle overall construction clump. Mature clumps offers zaštípnout part of the first buds, plant solidifies, zkošatí a longer blooming. We divide in early spring or even crash in June when cutting the clump. Třapatkovka relatively late sprouting. Too suffer from diseases, exceptionally fungal wilts, leaf spot, Posat young leaves, possibly grazing young tissues of snails. Třapatkovky well excel with rabatovými or suchomilnými perennials in the beds with summer flowering. Livened up during the holidays and fits well even to cut. 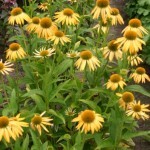 Their height does not allow for the development of weeds, well involved and the surroundings are not aggressive. Very good comes out of flowering with Daisy, sage, Santa and speedwell. Later followed zápleváky, sedum and asters morning. In the prairie species and their hybrids are very popular meat mixed use with high grasses. This flower is often healthy as a turnip. It just gives you often drops.